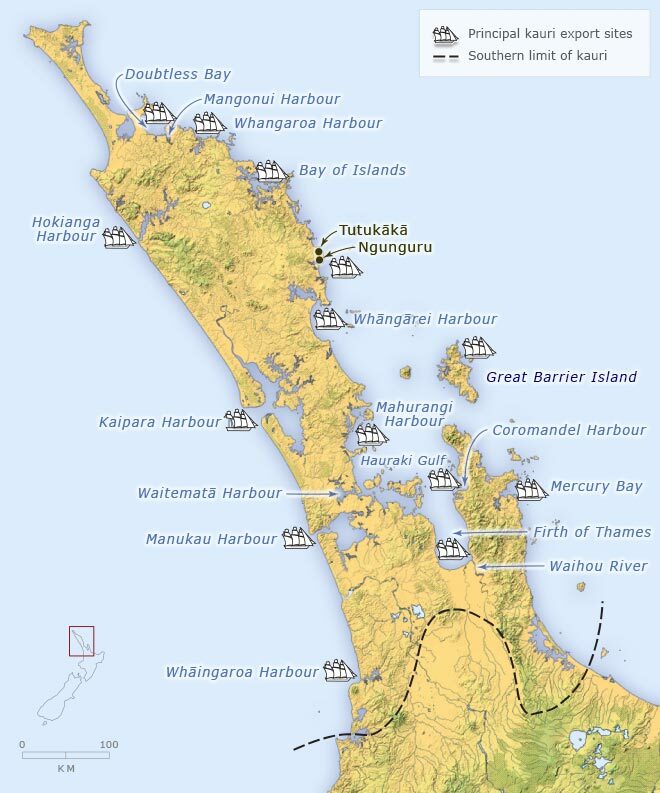 In the 1820s and 1830s, timber stations were set up at harbours around the coasts of Northland, the Coromandel Peninsula and northern Waikato. Māori felled and milled kauri trees at these stations, usually supervised by European sawyers. The timber and spars were shipped to Britain and, from the 1830s, to the new Australian colonies.